If you're like me and have a) sensitive eyes and b) wear contact lenses, you’ll know that finding mascara that works for you is like searching for the Holy Grail. Too many times I’ve tried a much-applauded new formula on the market only to find that it flakes, itches and stings - and ended up in the bin. Lucky for me that I’ve late I’ve discovered a no-hassle, no-smudge mascara that lasts all day with no re-application in the form of blinc. 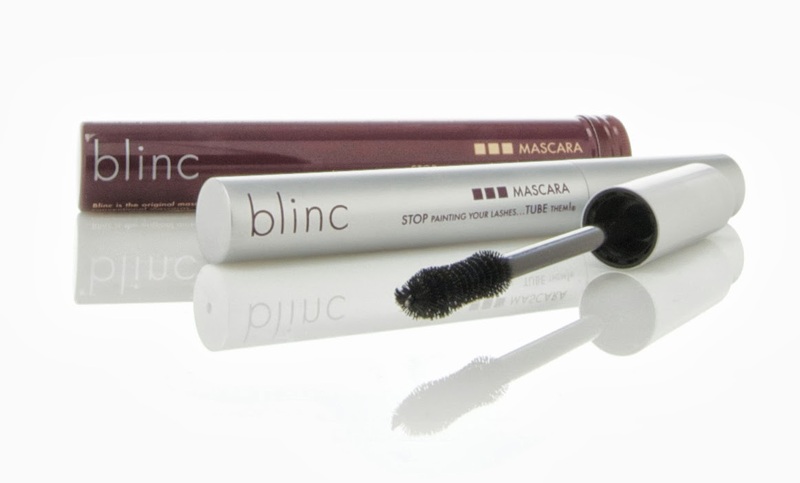 Instead of painting your lashes like conventional mascaras, blinc forms tiny no-smudge, water-resistant "tubes" around your lashes. Once applied, these tubes bind to your lashes and cannot run, smudge, clump, or flake, even if you cry or rub your eyes. When you are ready for removal, the tubes will effortlessly slide off your lashes into your hand without the use of a harsh makeup remover - just warm water. Amazing! When I first heard about blinc I had people say to me that it can only be used in one way so is a little limiting when it comes to creating different looks, but I have found that’s not the case at all with a little practice. For super voluminous lashes, apply a lash primer to lashes before applying your blinc mascara, and for additional volume, apply two or three coats while the mascara is still moist, waiting only about 20 seconds in between each coat (don't wait for it to dry completely in between coats). For additional length, focus on the tips of the lashes, especially the lashes at the outer corners of the eyes with a few strokes of the mascara wand. Once set, additional coats cannot be applied. To add a lot of length, apply it in multiple strokes and several coats at the tip of the lashes. You can also use it to gently fill in eyebrows as it will adhere just the same as it does to the lashes, and it is great for use on fake lashes and eyelash extensions as it doesn't require remover which can reduce the longevity of the adhesive. Last up, if you have a fave mascara formula that you just can't do without, use your old favorite, but then apply blinc on top - it acts as a sealant and locks everything in place for longer! I know! I've been using blinc for years now when I first got it in a stand at NZFW. It was the first of its kind and my oily eyelids fell in love! It doesn't fall off, doesn't give me panda eyes. Removal is easy! I'm still using it!